Sergii Tytar, an Electromechanical Engineer, worked in the aviation and automotive industry in Ukraine for over 20 years. As a lead engineer, he helped reconstruct the engine control system of the world’s largest aircraft. In 2016, political and religious unrest caused Sergii to leave his job and move, with his family, to Boise, Idaho. Soon after arriving, Sergii joined Global Talent Idaho and took advantage of everything the program offered. He worked with his advisor to develop a professional resume, write cover letters, and navigate engineering relicensing requirements. He also practiced interviewing with local professionals at a GTI Career Summit, including BSU Electrical Engineering Professor Dr. Elisa Barney Smith. Global Talent Idaho worked together with Stacey Shegrud at the Department of Labor to set up an electrical programming internship for Sergii at Versabuilt. He had two interviews before he was offered the internship position, and credits the GTI training, practice, and preparation as key to his success. 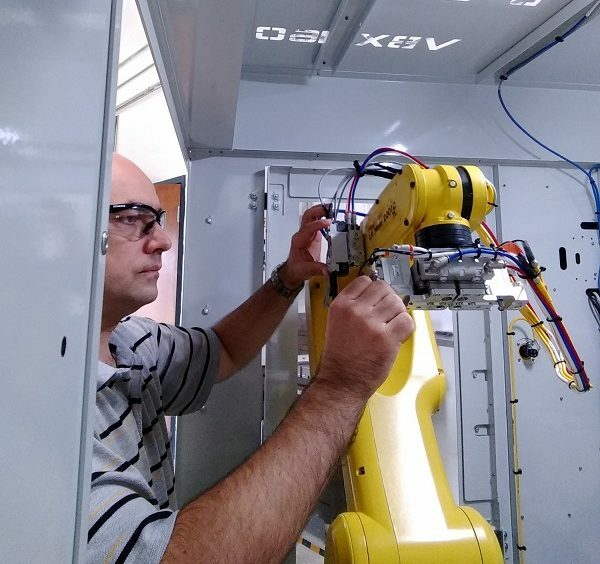 Although Sergii had no experience programming at a professional level, nor had he worked in English speaking environments, he was confident in his electrical knowledge and ability to learn, and was up for the challenge. He studied programming in his free time and now has a certificate in Robotics. Sergii continues to utilize classes offered by GTI to become more fluent in English. He recently attended a writing class where he worked with a personal English coach, GTI Volunteer Dunja Subasic, each Monday. Sergii is very thankful for the assistance he received, and continues to receive, from Global Talent Idaho. “They do a great job. They are amazing!” he says.